"It's a good feeling to have finished this Scrappy Plate quilt from Bunny Hill's free pattern. I had so much fun making this quilt, I think this is my favourite quilt I've made so far (I might have said that before). 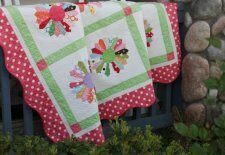 I used as many polka dot fabrics as I could find and I like the mix of colour. Many of the fabrics are from Kaffe Fassett line which I haven't bought before making this quilt (now I have a nice collection). 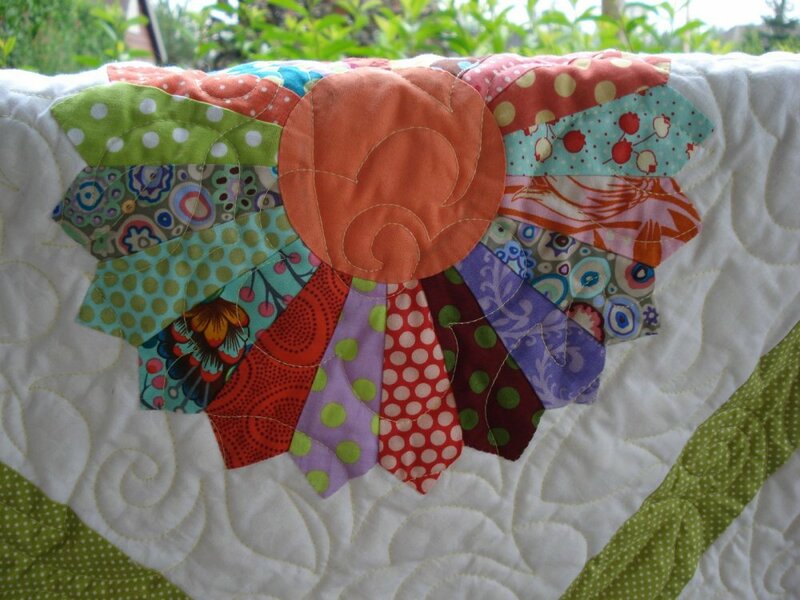 The plates are hand appliqued and I did the machine quilting." Click here for more pictures of Wendy's quilt and to check out other wonderful projects she's done. 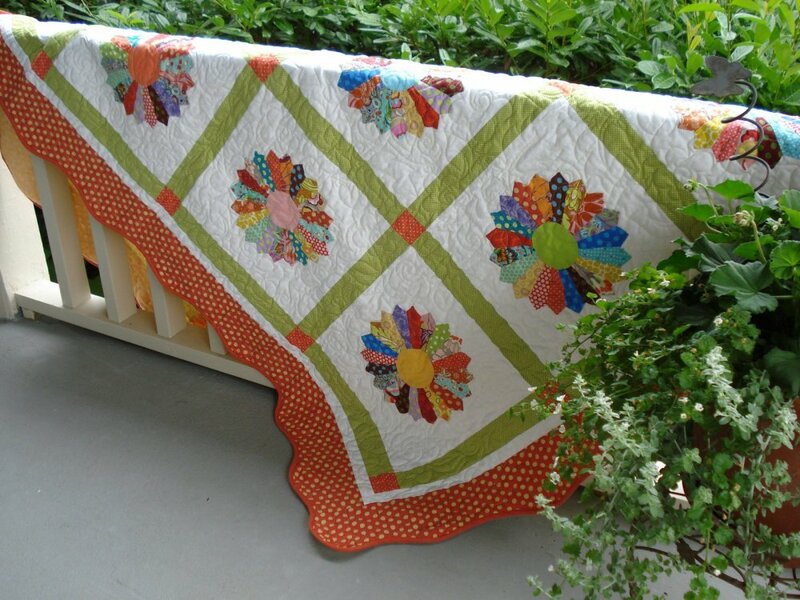 Also click the button below for the project page from Bunny Hill Designs. Be sure to take a look at all the other great freebies they have for you!